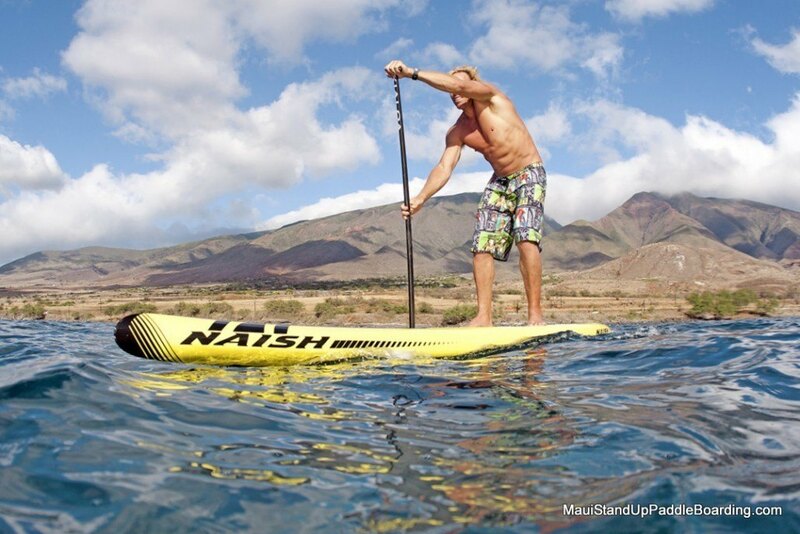 Did you know that “SUP”, or Stand Up Paddle Boarding, is the fastest growing water sport in Maui? Not only is it fun for all ages, but it’s also a sport that everyone can do! 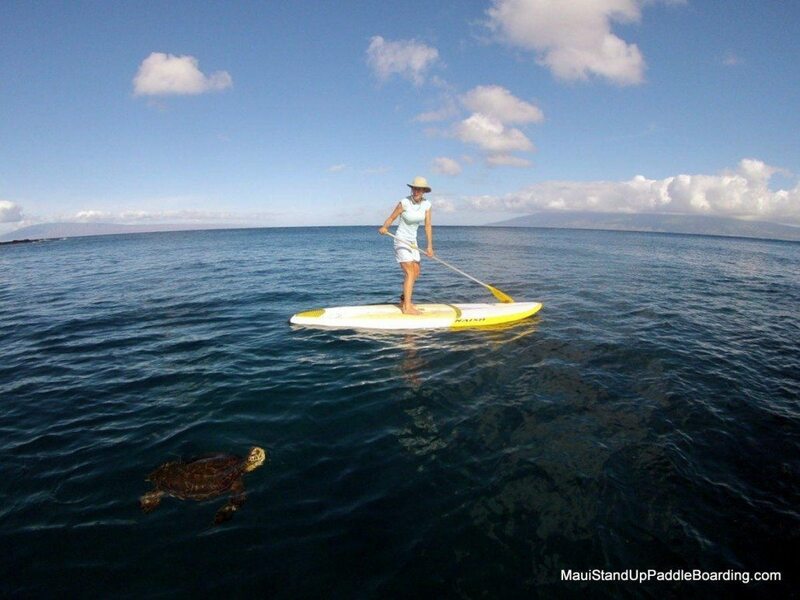 Whether you are new to open ocean paddling, looking to freshen up your SUP skills, or just want a leisurely paddle around and check out marine life, Maui Stand Up Paddle Board Lessons is the answer for you. 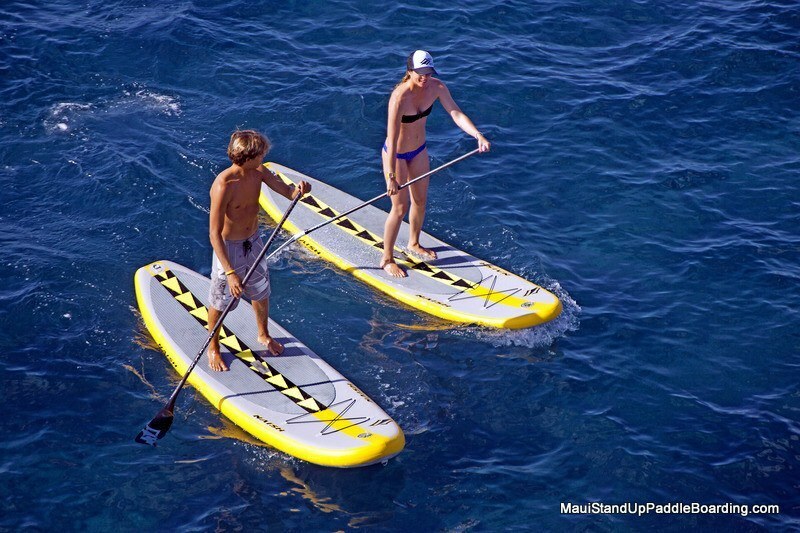 With the right instruction, SUP can be easy to learn while giving you a full body workout. 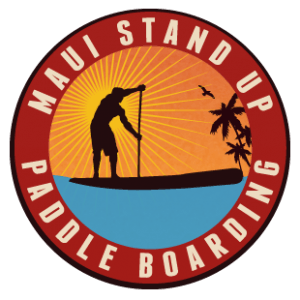 Our skilled SUP instructors will get you standing up on your board right away so you can see Maui’s water from a different perspective — get ready for an experience that you won’t forget with a Stand Up Paddle board lesson with us! We know that your time in Maui is precious, and like you, we like to stay away from the crowds and take the road off the beaten path. It’s our belief that you should have the best experience possible while visiting Maui, and that can be hard to do when you are on a group tour with other people that have different needs than you! Let’s face it, you signed up for paddle board instruction — not a “follow the leader” exercise with a group of people paddling in the shallow waters. Our private lessons allow us to cater to your needs and your expectations so you — and only you — get our full attention. 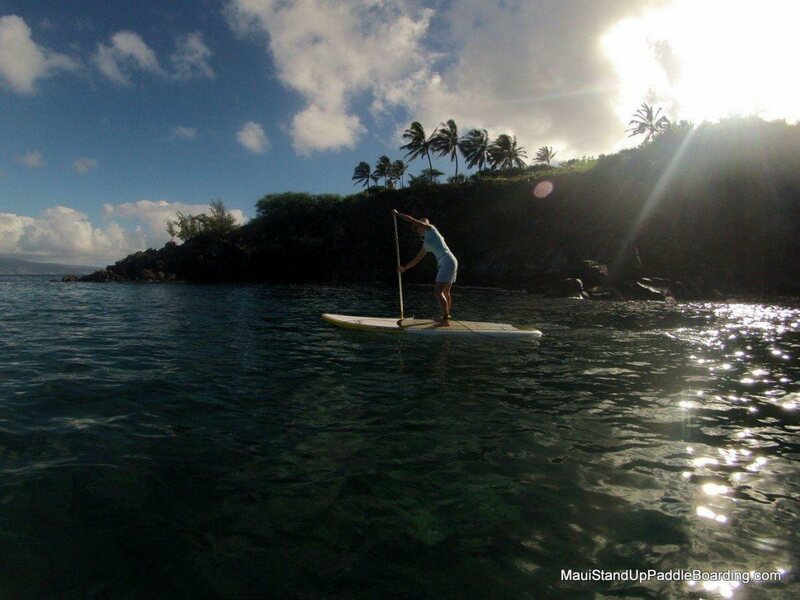 Discover the best Maui has to offer on the water and on a stand up board. See Maui from the ocean, with turtles, dolphins and ever whales! 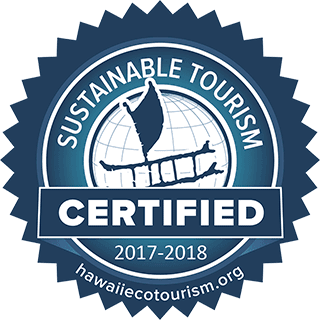 Maui's best tour guides and instructors are committed to you having a complete experience with all focus on your learning, safety and enjoyment. $199 Just you and our instructor! Our goal is to give you a memorable and authentic Stand Up Paddle Board experience… that’s our promise to you. Private Stand Up Lessons, Just For you! We do not combine parties. Free web quality digital photos of your tour. On the Northwest side of Maui, you will find the gorgeous little area known as Kapalua Bay. While somewhat protected from the wind, this area of the island can be a challenging location for first-time paddle boarders. The winter months in Kapalua are often grey and sometimes rainy, and there is the possibility of large surf. During the summer months there is less chance of rain, but usually strong winds. We are usually successful at this location with most of our guests, but we like to be up front about the weather conditions that sometimes create challenges for guests! Our knowledgeable staff can steer you in the right direction for your lesson based on weather and your experience level. For guests staying on West Maui in Lahaina, Kahana, Kapalua, Napili or Kaanapali, we are happy to offer several West Maui options for your SUP lesson. 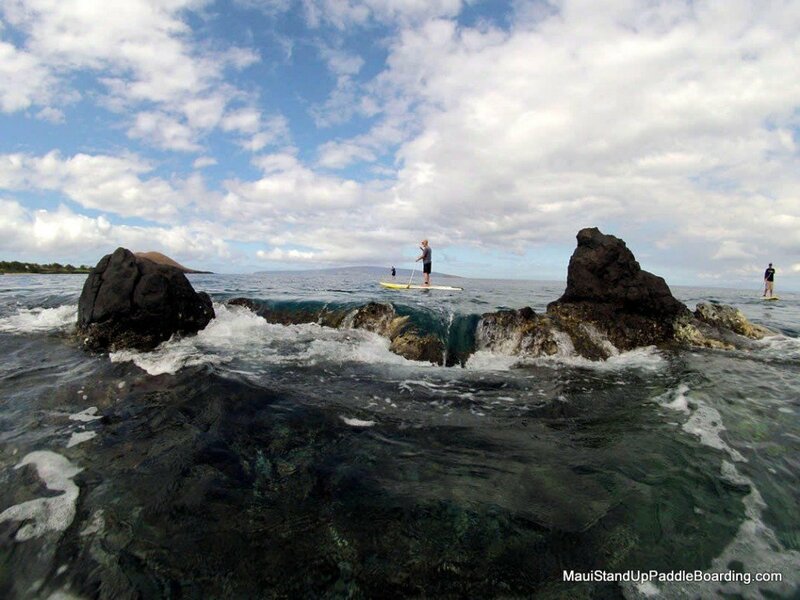 For those staying on the Lahaina side of Maui, we are happy to offer a West Maui option for your SUP lesson. We’ll start with a water safety and paddling instruction, and then get you in the water so you can put your new skills to use. Your guide will ensure that you have the proper stance, balance, and paddle technique so you will be comfortable on the water. You will soon be paddling out in the beautiful Olowalu marine reserve, where you will get a different perspective of what this looks like from above the water.As we glide across the pristine clear waters you’ll enjoy stunning views of the West Maui Mountains and coastline, Kaho’olawe, Lana’i, and you may even get to stop at the turtle cleaning station! This lesson is perfect families, novice paddlers and first time ocean enthusiasts. Let our team choose the perfect location for you lesson based on weather, tides and your experience level. Your lesson starts off with a thorough water safety and paddling orientation to get you standing up on your board. We then get you in the water so you can put your new skills to use. Your guide will ensure that you have the proper stance, balance, and paddle technique so you will be comfortable on the water. 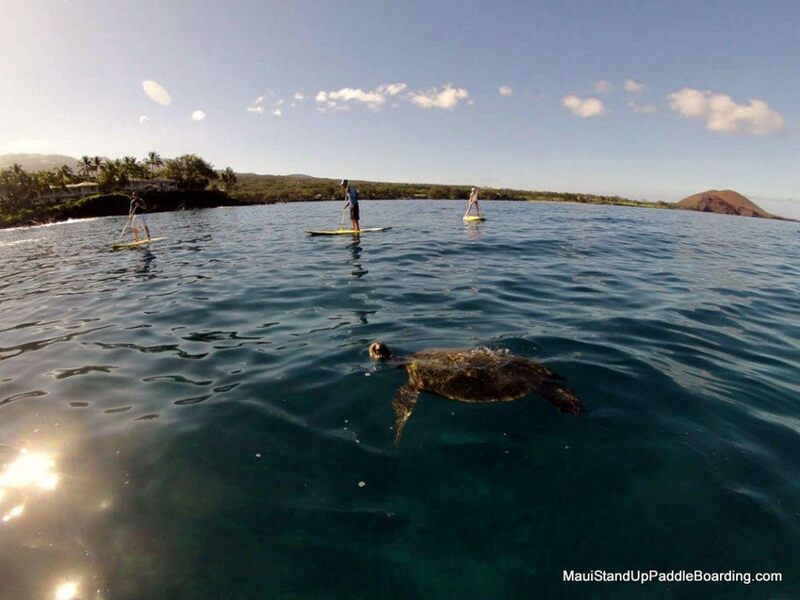 You will soon be paddling in the waters of Makena Landing, the heart of Turtle Town. As we glide across the pristine clear waters you’ll enjoy stunning views of Haleakala summit, Molokini Crater, Pu`u Olai, the Makena/Wailea coastline, and surrounding Hawaiian Islands, including the Big Island on a clear day! This area offers unique reef structures, lava tubes, and underwater caves. The best part is Turtle sightings are guaranteed! This trip is perfect for families, beginner paddlers, and first time ocean enthusiasts.